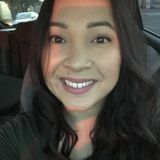 Want to connect with Arlene? Hello my name is Arlene. Who I Am: I am polite private nanny who can't wait to help your family! My location: I am located in Mid City of Los Angeles, I have my own transportation which makes travel no problem. My services: I am incredibly comfortable pick-up and drop-off, and errand running. Starting availability: As soon as you want.